For this blog I’d like to focus specifically on the issue of mosquitoes, but all of these factors play a role in the continuing surge of heartworm cases. Additionally there has been recent evidence that some populations of heartworms may develop resistance to individual heartworm preventives. Prevention and control of heartworms requires a multi-prong approach. First, it is important that all dogs receive a year-round preventive product. Right now we do not know the extent or range of resistant heartworms. It is critical that dogs be tested for heartworms every year even if they receive a preventive. It is important that positive cases be treated as soon as possible to prevent a reservoir of heartworms1. Even if your dog is on year-round preventive drugs, every effort should be made to avoid exposure of dogs to mosquitoes. Heartworms are transmitted by mosquitoes which, according to planetforward.org, will increase in number and distribution with climate change. Research from Paul Robbins and others at the University of Arizona shows that not only will populations increase, but, “Control methods will have to begin earlier and extend later into the year.” Mosquitoes should not be considered as a summertime pest, but as a year round health hazard2. Some mosquitoes lay winter hardy eggs. The eggs hatch when warm weather returns even for a short time. Many mosquito species live through the winter as adults. Females spend the cold months hidden in protected places, such as hollow logs or animal burrows. When warm weather returns, the females begin to feed immediately. Re-wakened mosquitoes come out in force, looking for blood. Once they've fed they begin to lay eggs again. How can you help control mosquitoes? Reduce exposure to mosquitoes by avoiding and cleaning up standing water where mosquitoes breed. Remember that even when you don’t see mosquitoes they may be present. Environmental control is always important. Keep dogs and cats indoors and protected from mosquitoes during peak mosquito feeding periods around sunrise and sunset. In high mosquito population areas consider screening in exercise areas. This is a common procedure in people’s backyards in much of the Southern states around pools and patios. Be sure all kennels and shelters are protected using a mosquito screen over openings. Citronella spray misters can be used to control mosquitoes safely but the citronella smell can be unpleasant. 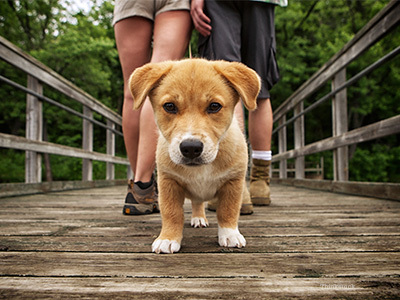 Consider using systemic or topical mosquito repellents when dogs are outdoors. DEET is extremely effective for humans but is toxic to pets and should not be used on dogs or cats. Permethrin containing topical products are effective and safe in dogs but cannot be applied to cats. Aggressive mosquito control is important as an aid in preventing heartworms and additionally in the prevention of other mosquito born diseases. Be sure you do your best to avoid exposure to yourself and your dogs. 1. "Canine Heartworm." CAPC, Companion Animal Parasite Council. July 2014. Web. 2. Hadley, Debbie. "Where Do Mosquitoes Go in the Winter?" Abouteducation.com. Web.